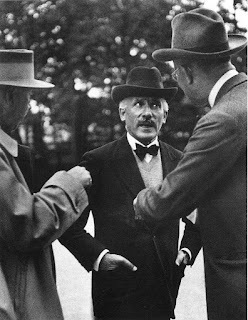 What Are We to Make Of Toscanini. Paul Heise's life is Richard Wagner. "But it is not the repulse of Alberich by the Rhine-daughters - the repulse was inevitable owing to their nature - that was the cause of all the mischief. Alberich and his ring would have been powerless to harm the gods had they not themselves been susceptible to evil." Everything totters round Brunhilde, everything is out of joint; in a terrible conflict she is overcome, she is "forsaken of God." "I cannot believe that you have misapprehended my meaning and intention: only it seems to me that you have attached more importance to the connecting links and parts of the great chain than they, as such, deserve; and as if you had been bound to do this, in order to read into my poem your own preconceived ideas"
"I was prepared to give up Art and everything if I could once more become a child of Nature. But, my good friend, I was obliged to laugh at my own naivete when I found myself almost going mad.". Of course I do not mean my hero to make the impression of a wholly unconscious creature: on the contrary, I have sought in Siegfried to represent my ideal of the perfect human being, whose highest consciousness manifests itself in the acknowledgement that all consciousness must find expression in present life and action. At the end of " Rhine Gold " when Loge watches the gods enter Walhalla and speaks these fateful words: " They hasten towards their end who, imagine themselves so strong in their might," he, in that moment, only gives utterance to our· own conviction; for any one who has followed the prelude sympathetically, and not in a hypercritical, cavilling spirit, but abandoning himself to his impressions and feelings, will entirely agree with Loge. And now let me say something to you about Brunhilde. You misunderstand her, too, when you attribute her refusal to give the ring up to Wotan to hardness and obstinacy. Can you not see that it was for love's sake that Brunhilde sundered herself from Wotan and from all the gods because where Wotan clung to schemes, she could only-love? 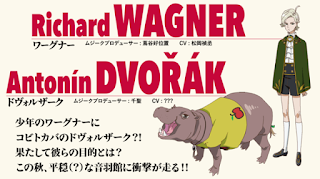 You might not be aware, but The Wagnerian has its own Facebook page, been one for years, to be honest. Where have you been? 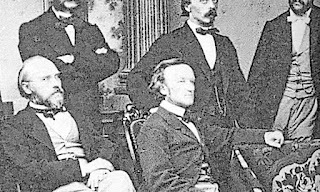 We mention it now because there are a number of Wagner-related items that we share there - and over at Twitter, - but never, due to time and other reasons, appear here or the Newsletter. (Newsletter? Yep. Enter your email address in the box on the right of the main page here on the site. Says "Subscribe via email). Should you want to also keep up to date with this. then stroll over to the link below, like the page and extra daily Wagner goodness (as some terrible marketing type might say) can be yours too. 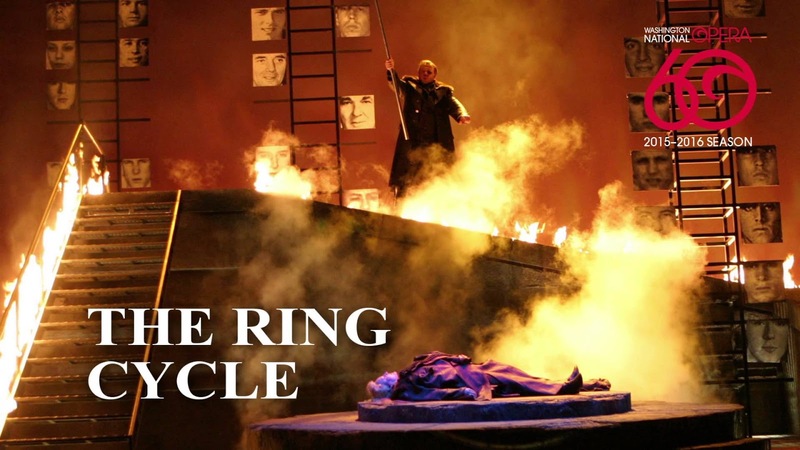 A short series of documentaries looking at the 2016 staging of Washington National Opera's Ring cycle. Alex Ross returns to his native Washington, D.C., in this afternoon symposium on Wagner connections to American culture.. Fascinating. The Royal Opera House will, once again, revive Keith Warner's, sometimes troubled, production of the Ring between September and November (three cycles) 2018. It will be conducted by the ROH's resident musical director Antonio Pappano. Hopefully, by next year, he will have overcome his busy schedule and boredom of listening to the Ring (reported here two years ago) and have studied other conductors interpretations - only to expand and develop his own, of course. (Edit: It has been pointed out that tucked away on the ROH website is a, nearly, complete cast listing. Our apologies, Blame lazy researchers. We shall castigate them by buying them tickets to every night of the next available revival of a La bohème, conducted by a mediocre conductor. Or indeed, any conductor. For a full cast list click here and then the relevant part of the Cycle and the night you wish to attend. It will take three clicks but there you are). Lise Davidsen as Freie and Third Norn. John Cage, Frank Scheffer, Nikolaus Lehnhoff & The Ring in 4.24 Minutes. 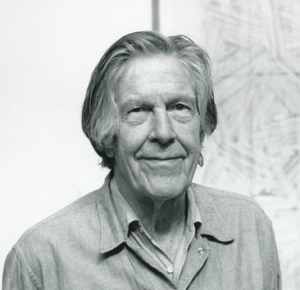 In 1987 John Cage commissioned Frank Scheffer to record Nikolaus Lehnhoff's Ring at the Bayerische Staatsoper. Of course, being both Cage and Scheffer this was not to be a straightforward recording. Instead, the entire cycle was to take the form of a short experimental film lasting only 4.24 minutes. Using single frame technique, Scheffer referred to the I Ching to decide, by chance, when to take each single frame. This fascinating recording can be seen below. How times have changed! Some of us can recall having to wait years for tickets to Bayreuth - especially a Bayreuth Ring. But that appears to be no longer the case. Once again, while everything else has sold out for this year's festival, tickets are still available for cycles one, two and three. - details below. Whether this speaks of things at Bayreuth, "Ring Heads", this particular ring or something else we shall leave to your imagination, although, one suspects that once this cycle has been replaced unless things go very badly, you will not be able to get tickets at this late a stage. Anyway, should you have the time, money and inclination, tickets can be bought online, now, by following this link to the Festival's official online booking site. "In recent years I have made various claims to the effect that I am writing a book called Wagnerism. Above is photographic evidence demonstrating that I have, indeed, produced a considerable pile of paper imprinted with words, although skeptics might wonder whether any given page of the manuscript contains nothing more than typographically varied repetitions of the sentence "All work and no play makes Jack an ambivalent boy." 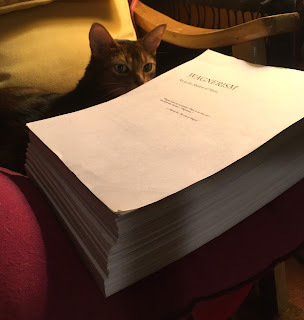 I have completed a very rough draft of thirteen out of fifteen chapters. Hitler is dead, and the story is therefore winding down. Taking a first pass at the manuscript is Minnie, who steps into the role once filled by my dearly missed feline assistants Penelope and Maulina." David Denby, at the New Yorker, discusses and reevaluates Toscanini while simultaneously reviewing Harvey Sachs' new biography of the conductor - released to coincide with the 150 year anniversary of Toscanini's birth. Kent Nagano and the Concerto Köln have begun a project to reproduce a "Historically Informed Performance" of the Ring during 2020 to 2021. 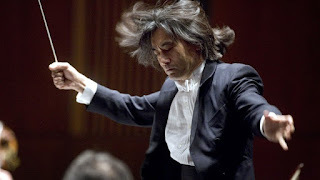 In their most recent collaboration, Concerto Köln and Kent Nagano, pursue a unique project: in cooperation with scientists at the University and Musikhochschule in Cologne, by taking on Richard Wagner’s tetralogy, “The Ring of the Nibelung”. Their undertaking will provide the international opera scene with new impetus in historically-informed approaches to musical-theatrical works of the 19th century. In both Rienzi and Tannhäuser (again, in contrast to Holländer), the title-role is given to a tenor, seen by Wagner as the ideal sound for conveying his musical embodiment of flawed heroism. If Rienzi is primarily about the psychology of political ambition, Tannhäusercomes closer to Wagner’s own world in exploring the psychology of the artist in society. To be convincing, the singer tackling Tannhäuserneeds to confront unusually demanding challenges. While he often seems to treat individuals, as in his dialogues with Venus, Elisabeth and Wolfram, like public meetings, Tannhäuser’s encounters with the real public (primarily in Act 2) serve to highlight his private, self-obsessed concerns. 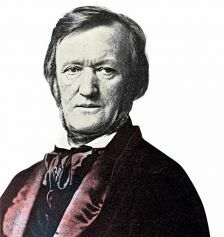 This poet is never at ease in either the private or the public arena, and the music Wagner invents to chart his decline and fall moves from almost hysterical eroticism (the ‘Hymn to Venus’) to melancholic despair (the Rome Narration). 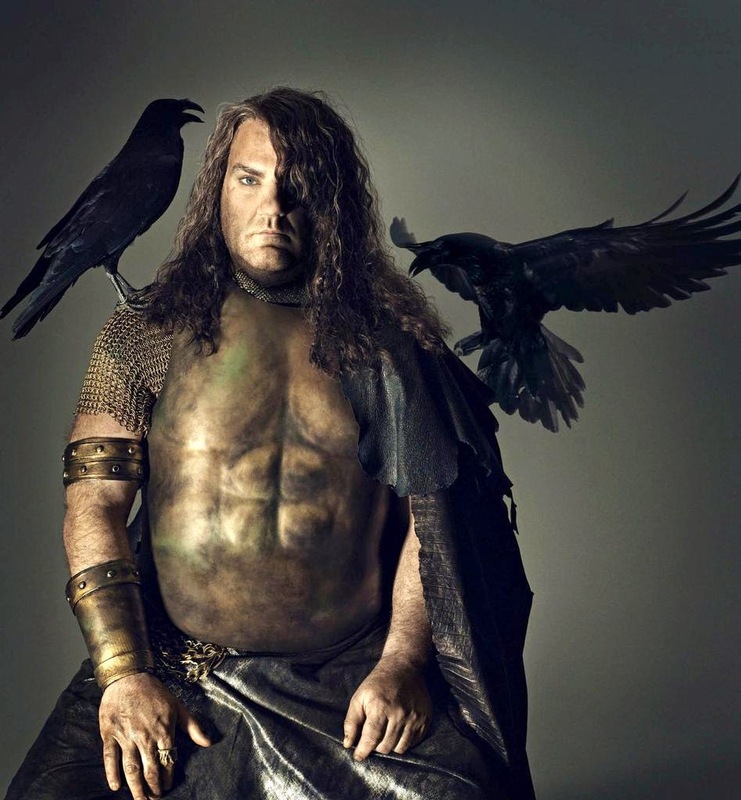 At least one celebrated tenor – Jon Vickers – found the role so distasteful that he refused to tackle it. Others have ruefully noted that Siegfried and Tristan are in some ways easier – musically and dramatically more rewarding, that is. 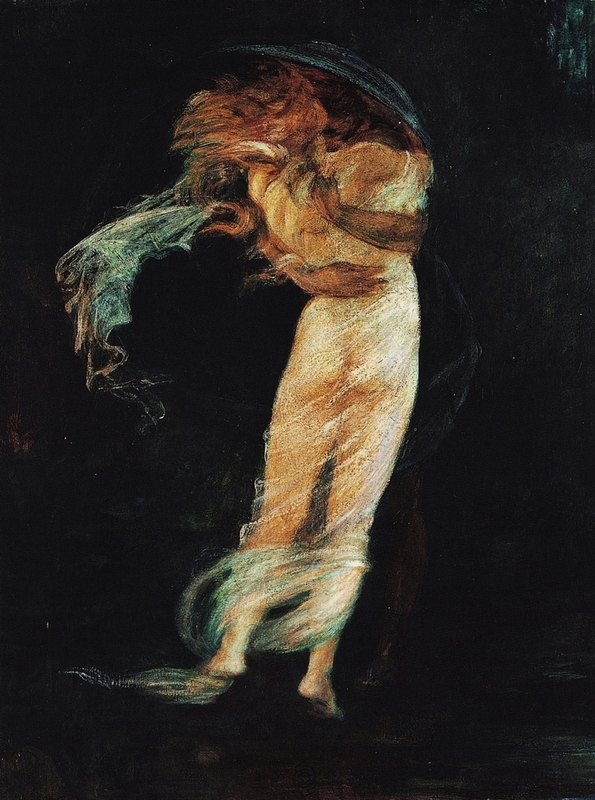 And it has certainly never been easy for producers to find a style of staging that deals convincingly with the clashes between the real world of the Landgraf and his court on the one hand and the fantasy realm of Venus on the other.When the 31-year-old Richard Wagner completed Tannhäuser in April 1845, he had already taken a giant step away from Grand Opera conventions. Der fliegende Holländer, first staged two years earlier, had turned away from what, for Wagner, was the one-dimensional, cardboard cut-out dramatic world of Spontini, Auber and Meyerbeer, while not rejecting the more local, more German operatic traditions of Beethoven and Weber. In this context Tannhäuser, and the title-role in particular, seemed something of a reversal, if not quite to Spontini and Meyerbeer, then to Wagner’s own successful version of Grand Opera, Rienzi (begun in 1838, first performed in 1842). Wagner’s next opera, Lohengrin, offers a very different confrontation between the real world of 10th-century Brabant and a realm that seems to transcend mundane reality – the Grail knights’ Monsalvat. If the determining quality of Tannhäuser is an all-too-human fallibility, that of Lohengrin is a godlike self-assurance. Both qualities are, in the end, more destructive than anything else, but it is understandable that singers warm more immediately to the lyrical poise that distinguishes much of Lohengrin’s part. More tenors seem at home with this than with Tannhäuser’s trials and tribulations, though some – René Kollo is one – have managed equal conviction in both, at least on disc. As singers might sometimes ruefully confess, Lohengrin is a role to tackle when your voice still has its youthful bloom and your career is poised to take off; Tannhäuser is best taken on when you are well-established and have nothing to lose. Basses, baritones and bass-baritones might also use this latter formula in relation to the great antagonistic pair in the Ring cycle – Wotan and Alberich. It is a measure of the proliferation of Ring performances and recordings in the years since 1950 that complaints are sometimes heard that the Wotan sounds more like an Alberich, or even (though less commonly) that the Alberich sounds implausibly noble and godlike. Occasionally there are singers (Sir John Tomlinson has been a prominent example in recent times) who can seem as convincingly in character as both villain and hero – as Hagen or Wotan. It has also been argued that the noble, even sacerdotal vocal qualities that singers such as Hans Hotter or Theo Adam brought to the role of Wotan short-change those less savoury aspects of the character, like the deviousness which Wagner’s text relishes in Das Rheingold and Siegfried. On the other hand, no one wants to hear Wotan bidding a soulful farewell to his daughter in Die Walküre in tones that might serve equally well for Alberich’s ragings against fate. 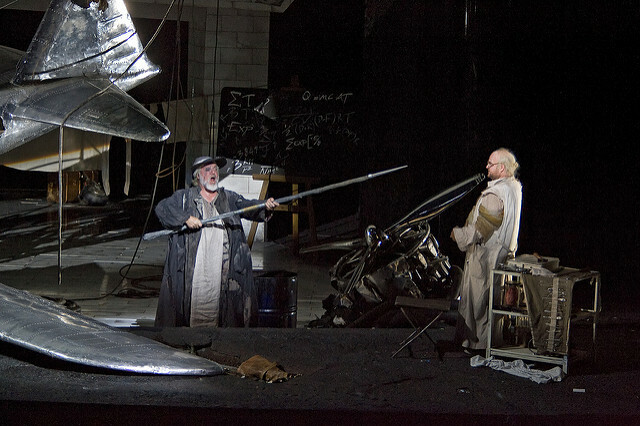 That Wagner has endowed both characters with an unusually wide range of attributes – something which helps to explain the attractions of the roles to singers – is especially evident in their encounter in Act 2 of Siegfried, where adumbrations of both comedy and tragedy are starkly juxtaposed. In turn, a particular attraction of what is probably Wagner’s most highly regarded role for a bass-baritone – Hans Sachs – is the blend, not so much of villainy and heroism, but more that of ‘poet and peasant’, artisan and armchair philosopher. It takes special reserves of stamina for the singer to sustain the kind of relaxed good humour needed throughout the long third act of Die Meistersingerand then to assert benign but decisive authority in the final address, rather than projecting a desperate determination to last the course, and to deal adequately with those hair-raising high Es. A persuasive Sachs certainly needs to be more of a Wotan (or Wolfram?) than an Alberich, as the most memorable interpreters of the role on disc, from Friedrich Schorr to Gerald Finley, can testify. Wagner showed few if any signs of wanting to give his female singers an easier time than their male colleagues. Saintly submissiveness might be called for, suggesting a cliché-ridden acceptance on Wagner’s part of woman’s primary nurturing role, but this is usually onlythe starting point for a transformation which reinforces the decisive function of women in promoting and effecting dramatic resolution. Sopranos are well aware that there’s no point in thinking of tackling Brünnhilde if you quail at the prospect of launching those high Bs in your very first lines in Act 2 of Die Walküre. The part’s rhetorical range across three nights is phenomenal, although Wagner is usually credited with a shrewd awareness of the need to provide passages to be coasted through in the interests of husbanding resources, especially when the character is on stage for so long, as in Act 1 of Götterdämmerung. In the end, however, Wagner takes no prisoners and those singers (Astrid Varnay and Gwyneth Jones inevitably come to mind) who are the most successful are those who recognise that aesthetic refinement matters less than sheer visceral conviction. 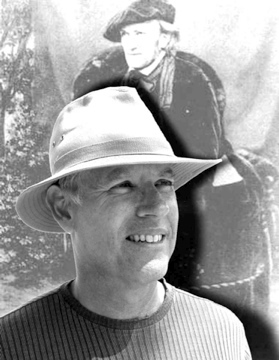 An overview of Paul Heise's (creator of Wagnerheim)"obsession" with Wagner. The Annapolis resident has immersed himself in the 19th-century German composer's Ring Cycle for over 35 years, dropping out of graduate school and giving up jobs to study the set of four epic operas. 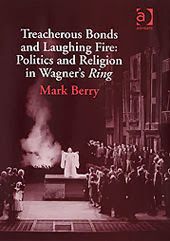 Heise has a website devoted to his analysis of Der Ring des Nibelungen, http://www.wagnerheim.com (heim is home in German), which features more than 1,500 pages of information. "I've never met anyone quite so single-minded," said Elliott Zuckerman, a retired St. John's College tutor who once had Heise in a class about another Wagner work, "Tristan and Isolde." "He really has had one thing in his life." You know, when you read a piece of literature or hear a piece of music that gets inside you? This thing got inside of me. It was as if I'd woken up in some way. That was it. It rendered me permanently unemployable. Zuckerman said Heise's conclusions about the Ring are as "good as any others" and was impressed with the breadth of what Heise posted online. "The website is remarkable and incredibly complete and very apt these days with renewed interest in the Ring," Zuckerman said. Heise's love affair with the music began when he was 18 and heard a sampling of the work for the first time on the radio. "It was a goose bump moment," he said. The Annapolis native immediately went to a store to find a recording. He took it home and listened - nonstop - to all 19 records. "I dropped the needle and I was instantly hooked," he said. "I stayed up 24 hours. You know, when you read a piece of literature or hear a piece of music that gets inside you? This thing got inside of me. It was as if I'd woken up in some way. That was it. 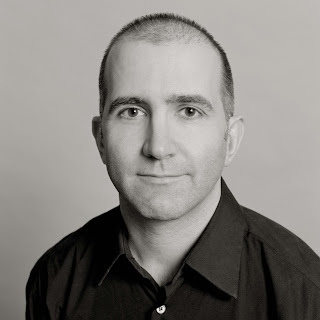 It rendered me permanently unemployable." That's a bit of hyperbole, but not that far from the truth. Heise has held a series of jobs over the years, including a stint as a juvenile probation officer, but he's also taken long breaks to focus on his research. He's currently a part-time gate attendant at Quiet Waters Park in Annapolis.